Our rates are per calendar day. We charge a flat boarding fee with no surprise add-ons. Everything you would expect and want for your pet is included in our daily price. Boarding charges begin with the day of check-in and accumulate with each calendar day thereafter. Check-outs that occur between 9 am and noon during regular business hours are not billed as a boarding day; checkouts after 12 noon are billed as a boarding day. A weekend board, Friday to Sunday, is considered a three-day board. Payment is due at time of checkout and must be made by check or cash only. Sorry, we do not accept debit or credit cards. 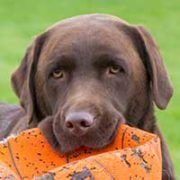 There are no additional charges for your dog to be included in group play or single exercise sessions. This is included in our flat boarding rate and is done minimally three (and up to five!) times daily, with an additional evening potty break before lights out. Also included for our canine guests is a Kuranda bed (a raised cot). This not only keeps our guests more comfortable but means less laundry for both us and owners! Owners, however, are welcome to bring a small blanket to place on top of the bed for added comfort. We feed Mounds brand dry kibble and use stainless steel bowls. Cats have individual sleeping baskets with soft bedding, as well as their own litter box and separate feeding station. Each cat is let out of his or her enclosure periodically throughout the day to enjoy the use of our cat trees and perches. Our feline guests are fed Science Diet dry kibble. Stainless steel water and food bowls are provided. Our excellent daily care makes us the best choice for any extended stay. Chesterfield Kennel is my #1 choice when I need to kennel my dog. 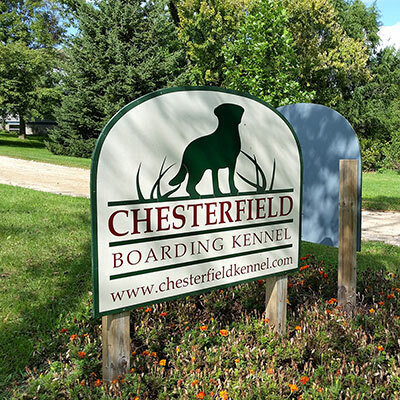 I choose to drive about 25 miles from Janesville to use Chesterfield Kennel. The owners, Sue and Craig, are kind, friendly people who I know care about the pets they take care of. My dog has always come home from her stay at Chesterfield Kennel happy and healthy.